Want to access mongodb server remotely? It can be done easily by using of mongo shell from your client machine. To run the mongo shell, make sure that you are in the directory where you have your mongo bin files located. 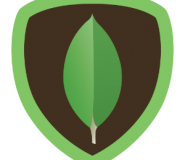 In case you haven’t setup mongo on your machine before, check this tutorial How to Install MongoDB in Ubuntu out. Use the follwing command to connect to mongodb remotely which hosted on other machine. You will need to supply the remote machine ip adress and port number. I am new to MongoDB and your post just helped me to connect to a MongoDB instance that is on another server.